The Citigroup Foundation will once again support the 2011 Microentrepreneur Awards that is organised by AMFIU to promote the effective role that microfinance plays in poverty alleviation and the extraordinary contributions that individual microentrepreneurs have made to the economic stability of their families as well as their communities in Uganda. The theme for this year is Entrepreneur Creativity & self sustainability. This is the 5th Citi Microentrepreneurs Award since 2006. The Association of microfinance Association of Uganda has been trying to bring MFIs back to the drawing board by encouraging them to become socially accountable and relevant to their clients through social performance management (SPM). SPM is about making an organization's social mission a reality. It involves taking the steps to deliberately manage and achieve desired social results. AMFIU has been creating awareness and promoting social performance management among its members and the microfinance industry in Uganda and has had a positive response from the practitioners on this issue. It is in this regard that AMFIU organized an award ceremony to recognize microfinance institutions that have made an effort in introducing and implementing SPM in their organizations. 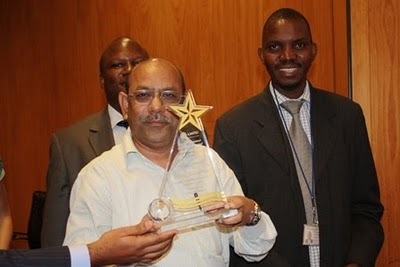 The award ceremony took take place on 27th September 2011 at Serena Hotel and BRAC Uganda emerged the overall Gold Winner. Outreach of Microfinance from urban and semi-urban to rural and remote areas of Uganda is the most contentious issue of industry. At the first IIE of 2007, two very different presentations were given, yet they tackle the same theme: Outreach of Microfinance. The first presentation took the avenue of technology. SEVAK solutions is a company with the mission to apply the opportunities of modern Information and Communication Technologies (ICT) to Microfinance consumers. ICT-based payment systems, SEVAK-founder Laura Frederick explained, are an infrastructure. Infrastructure is very costly, yet mostly "non-rival", i. e. once in place, it can be used by many. Microfinance Service Providers should not compete on infrastructure, because they can't win and will in the end even harm the consumer. Rather, MFIs should collaborate on infrastructure and concentrate competition on services.